A van driver who nearly caused a collision with a cyclist was fined £75 last Wednesday at Craigavon Magistrates Court for driving without due care and attention. Ward Green, Carnbane Road, Lisburn, was also given three points and ordered to pay a £15 offender’s levy. 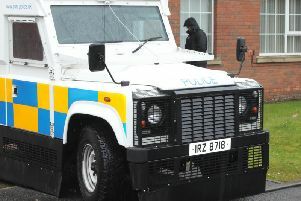 The court heard that on August 1 this year the injured party attended at Lisburn police station and made a complaint. He said he had been cycling on the Newforge Road in Magheralin and intended to turn right, putting his right arm out and moving into the middle of the road. A van overtook and almost caused a collision with the injured party and another cyclist. Cycle helmet footage showed the incident as the van went to overtake and caused the injured party to swerve. A defence solicitor said his client accepted his driving fell below the accepted standards.